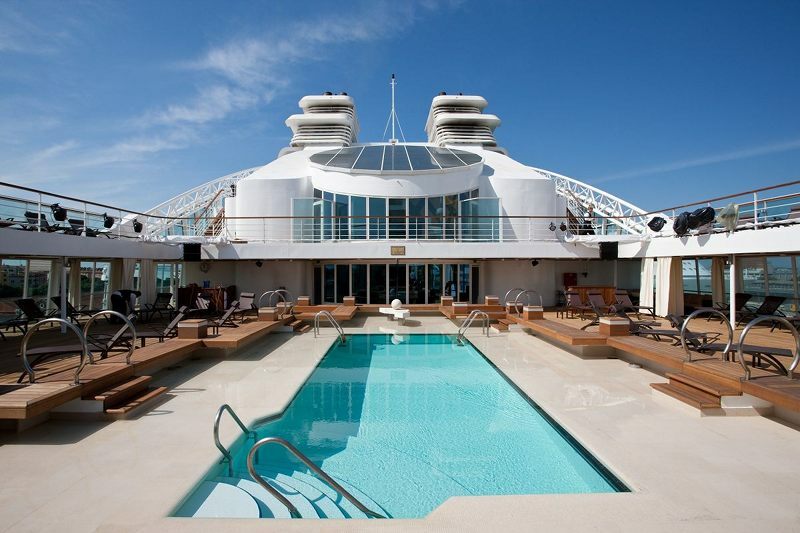 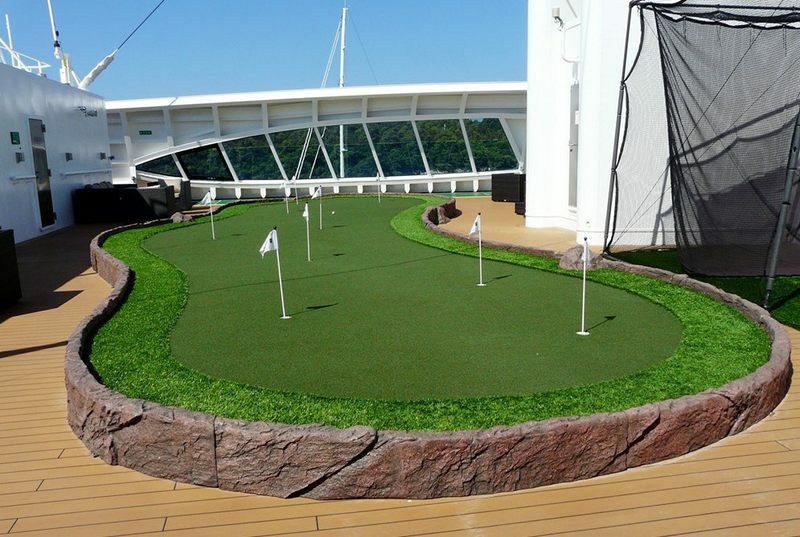 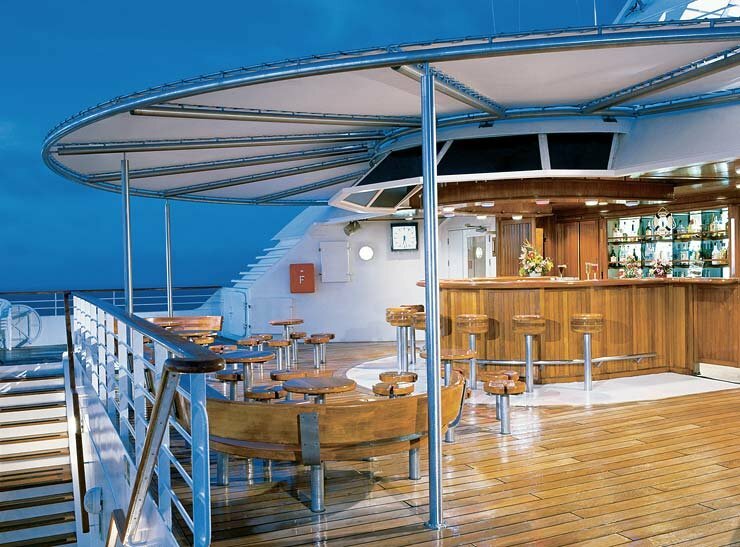 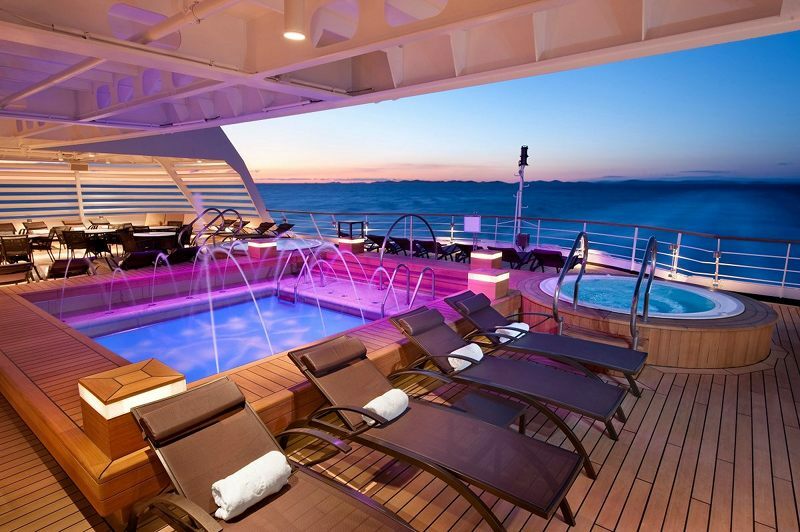 On Deck 11 you'll find the Sun Terrace and Sports Deck. 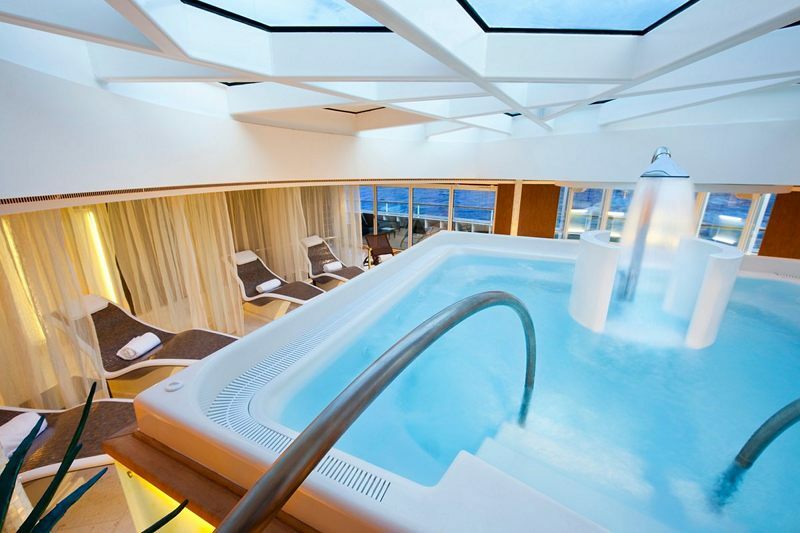 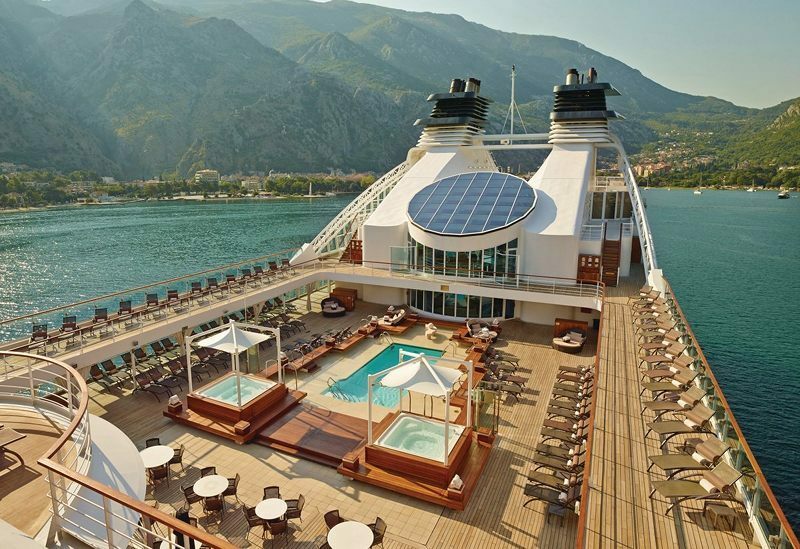 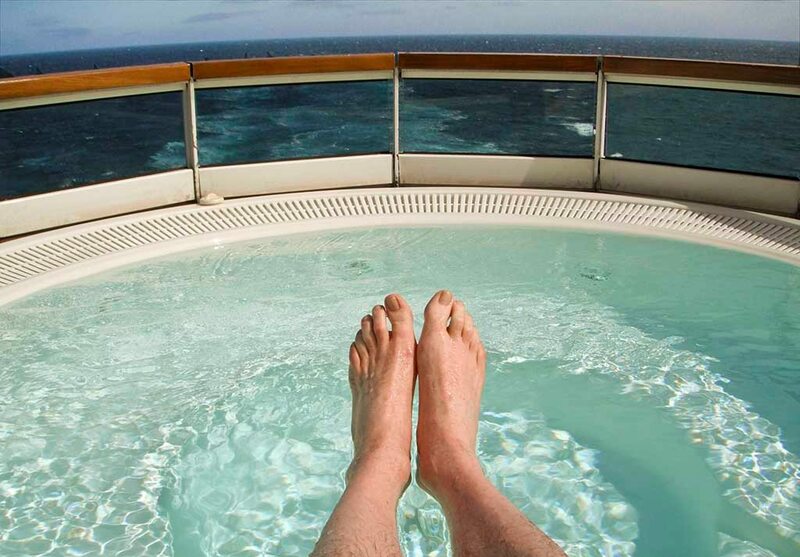 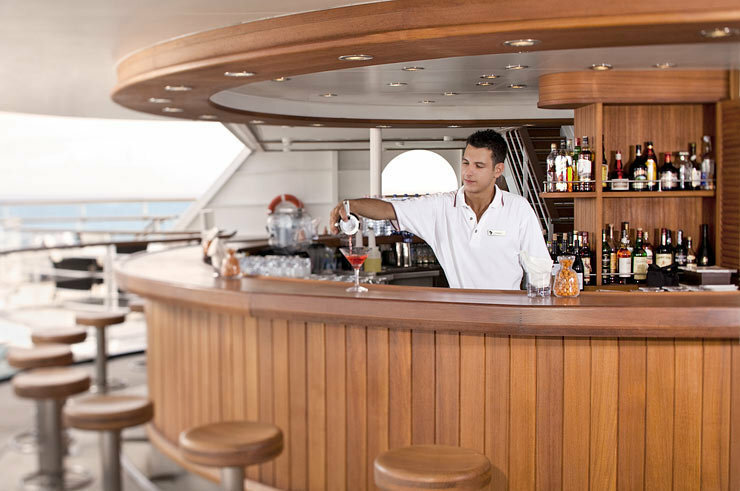 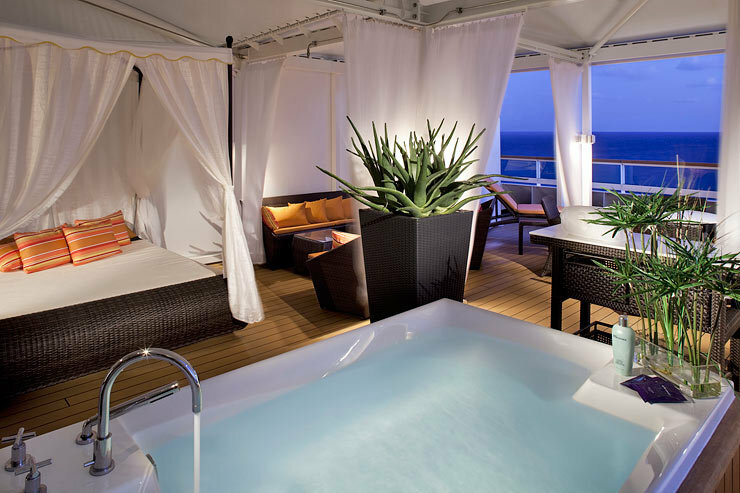 Deck 10 features staterooms in categories PH, and V6, as well as the Observation Bar, Spa Terrace and whirlpool. 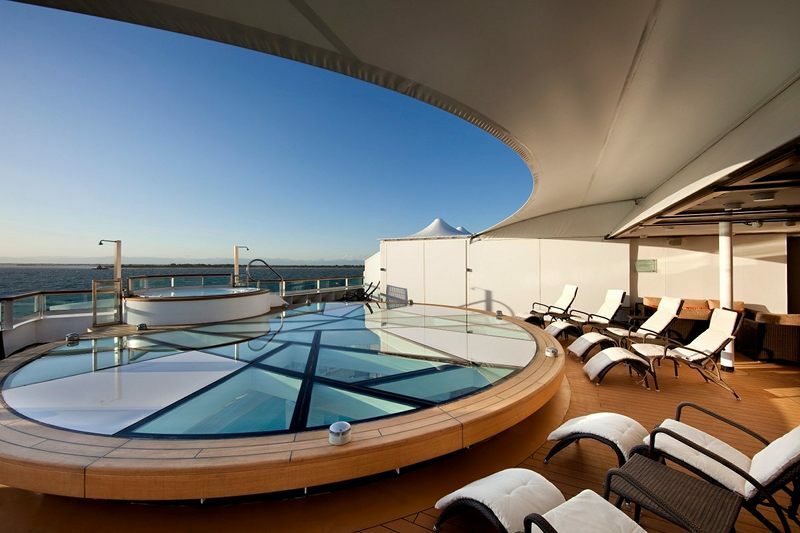 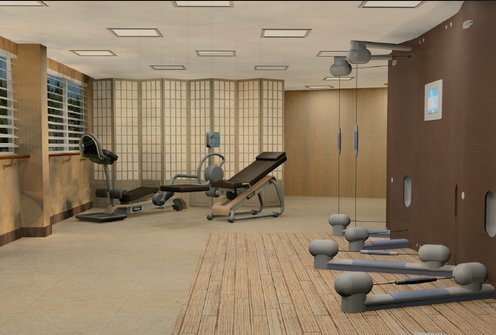 Deck 9 features staterooms in categories PH, and V6, as well as the Sky Bar, Spa at Seabourn, spa pool, gym, and fitness studio. 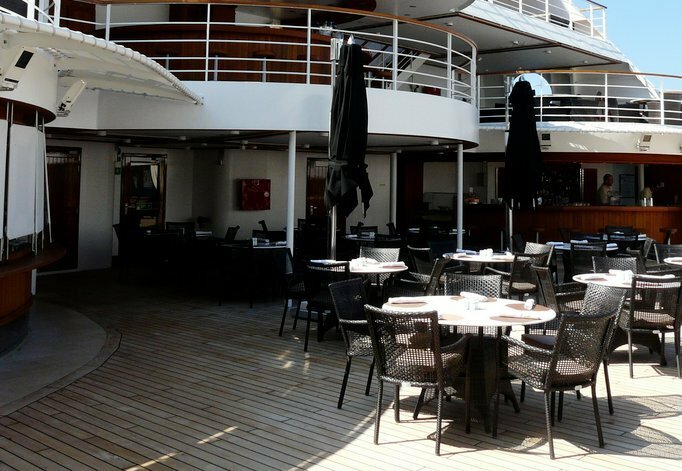 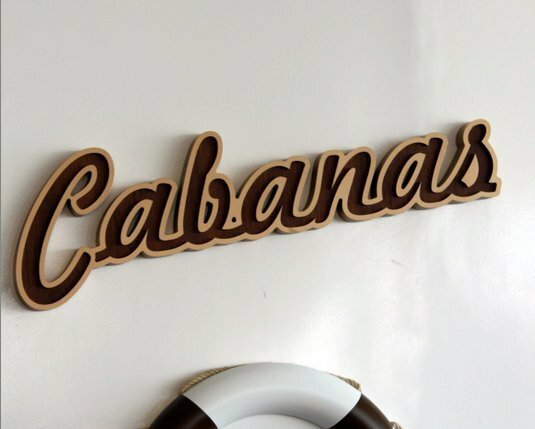 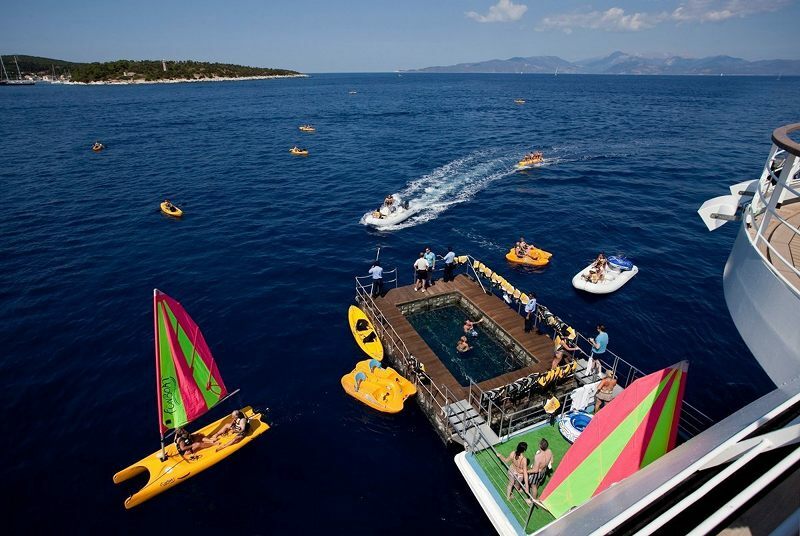 Deck 8 features staterooms in categories OW, V6, and V4, as well as the Patio Bar & Grill, the Colonade, swimming pool with 2 whirlpools, and Restaurant 2. 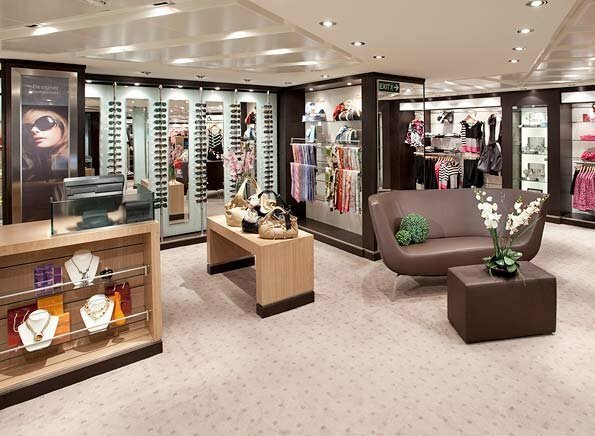 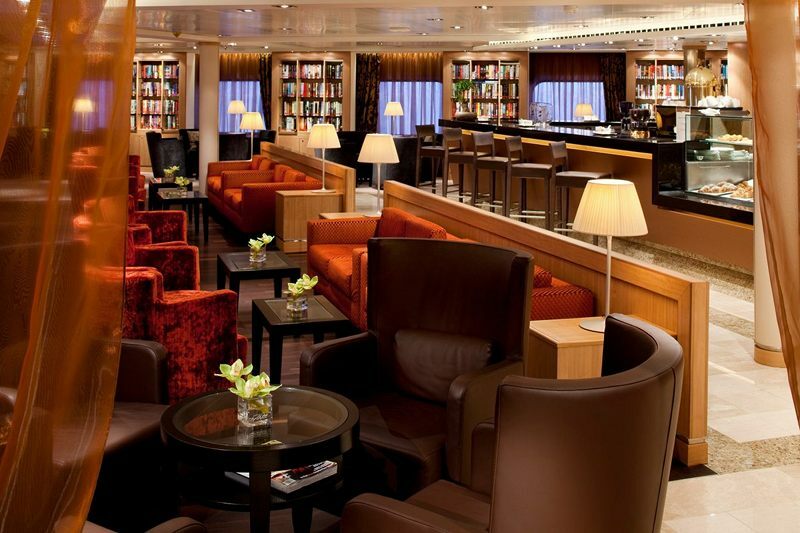 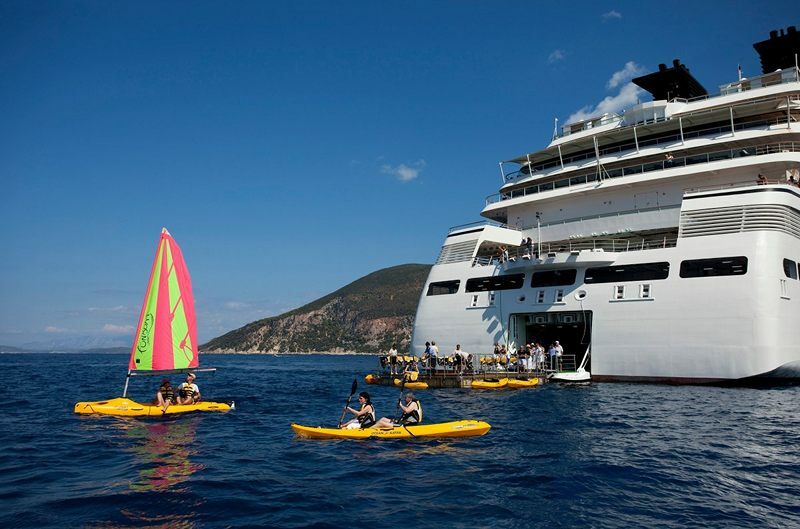 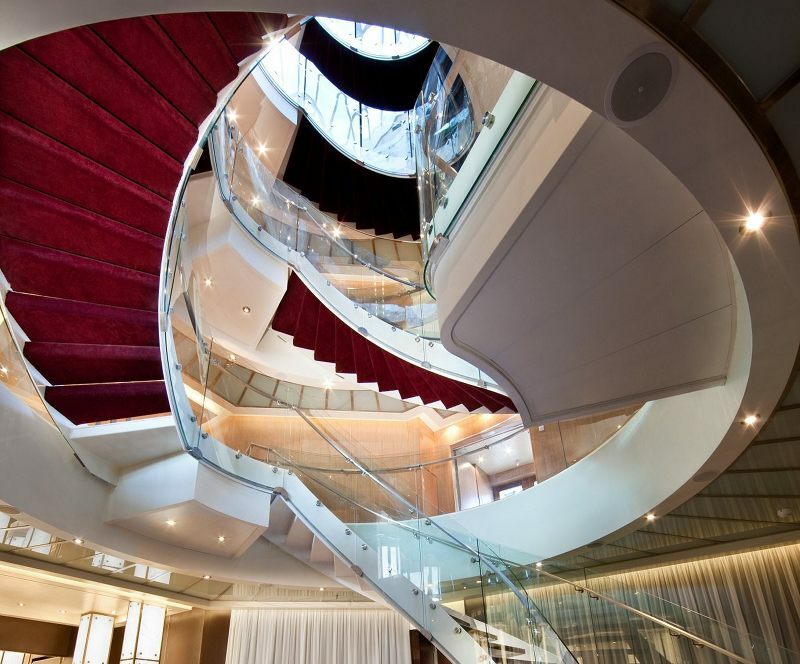 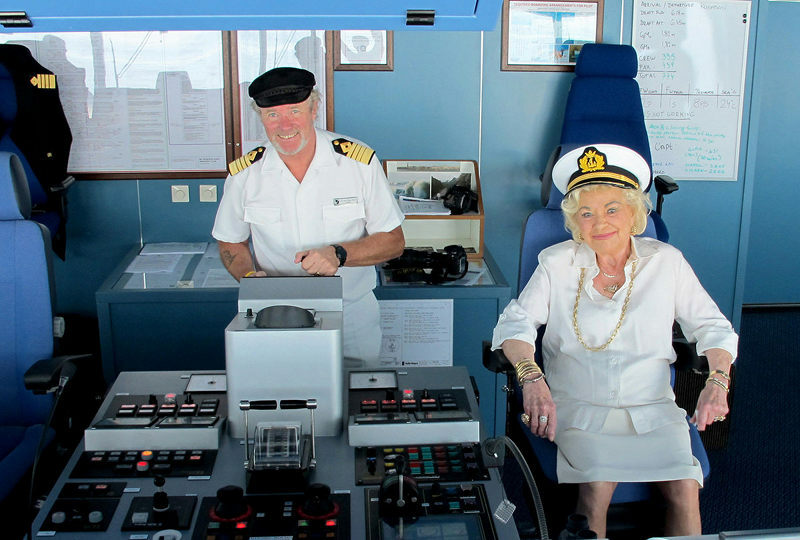 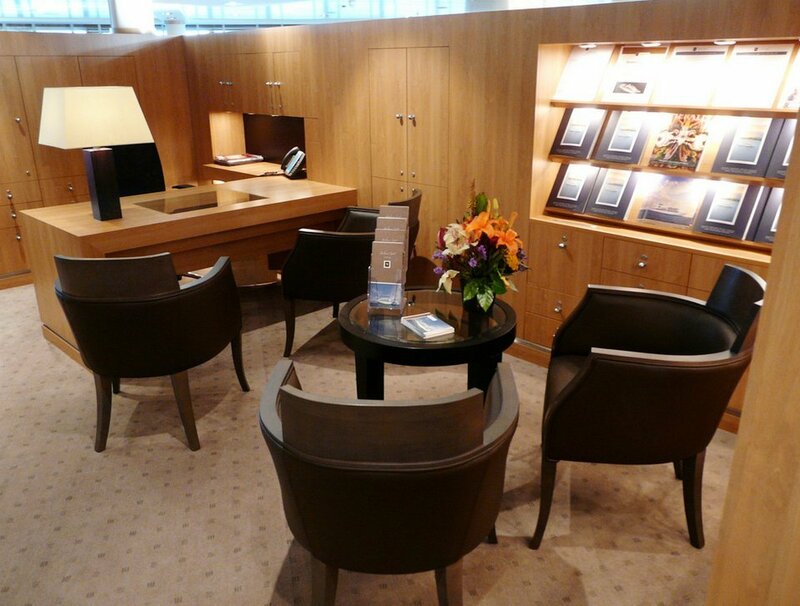 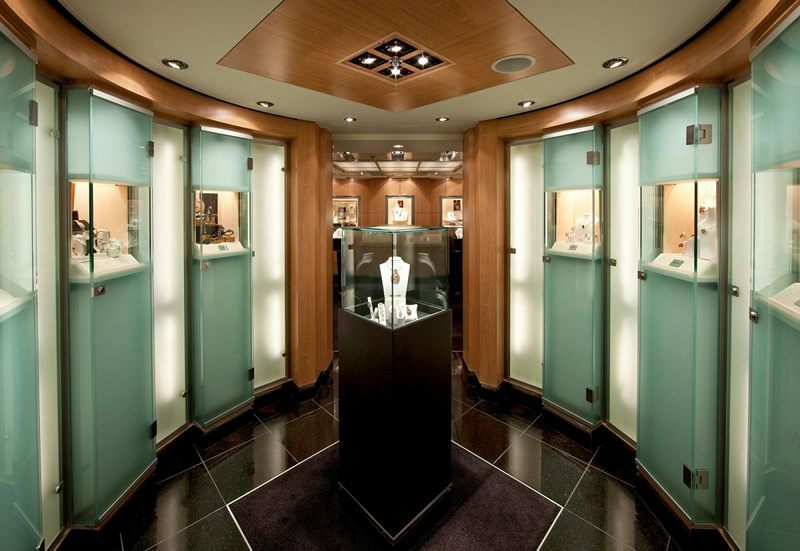 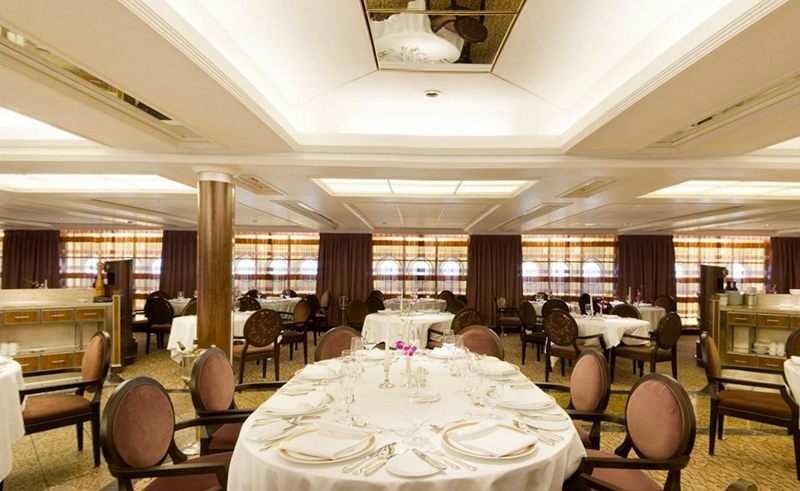 Deck 7 features staterooms in GR, WG, SS, OW, V6, and V4, as well as the Seabourn Square, the Boutique and the card room. 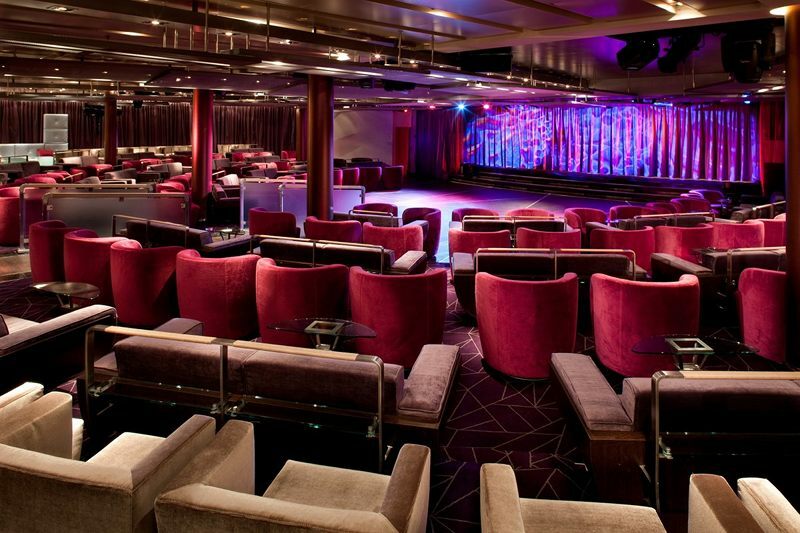 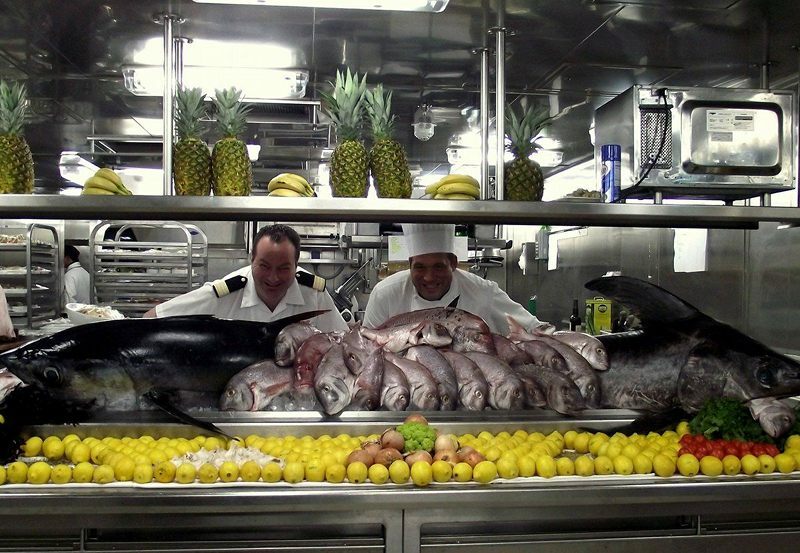 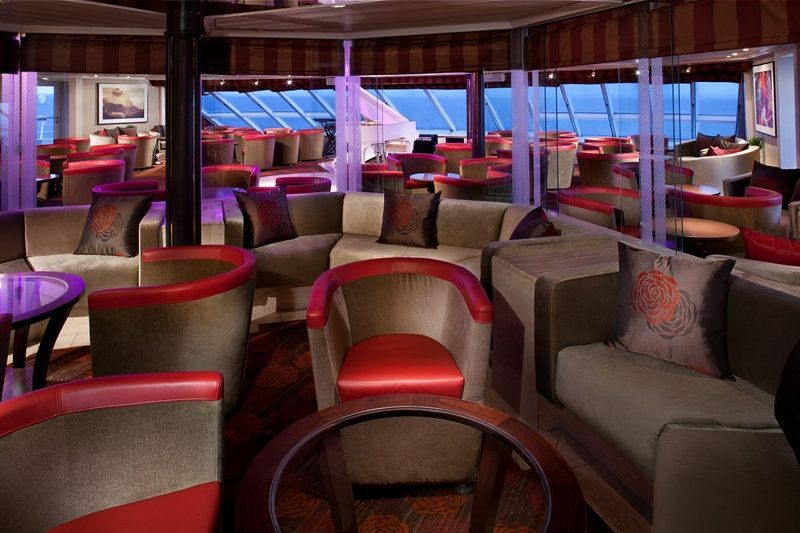 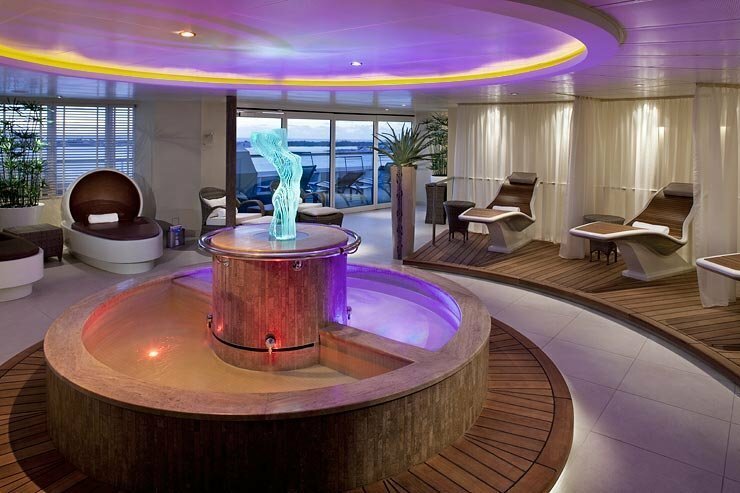 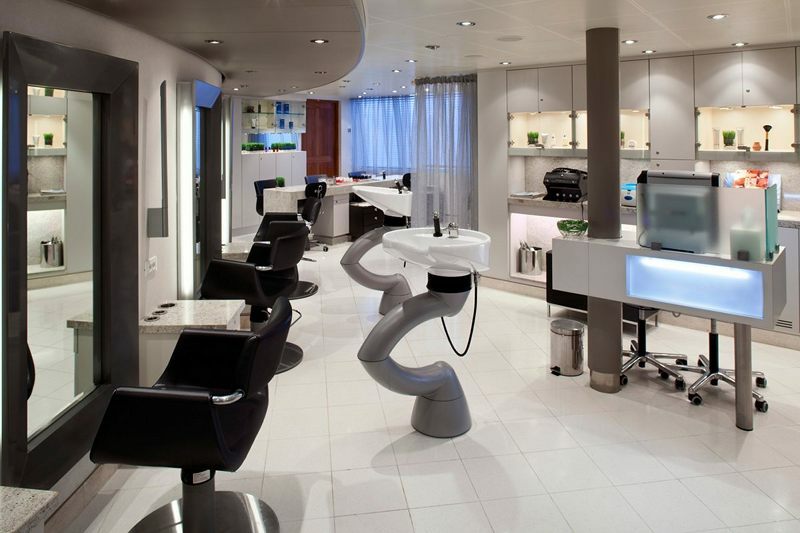 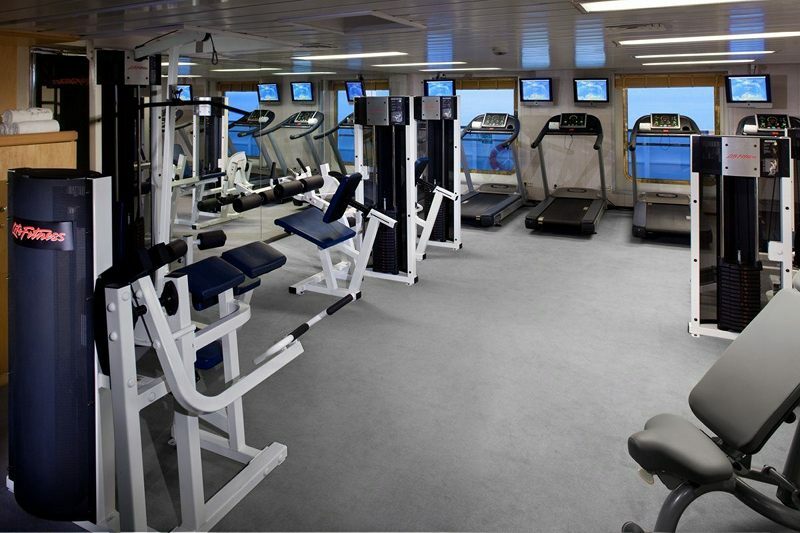 Deck 6 features staterooms in categories OW, PH, V5, and V3, as well as the Grand Salon and a whirlpool. 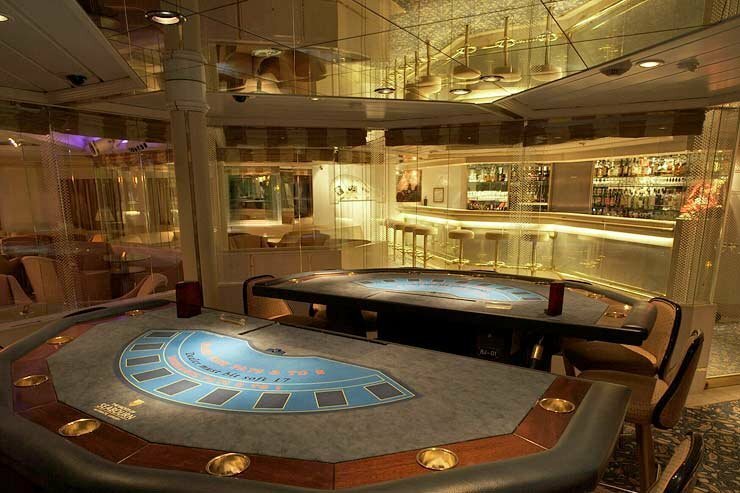 Deck 5 features staterooms in categories V1, and V2, as well as the Casino, the Club, and aft pool area. 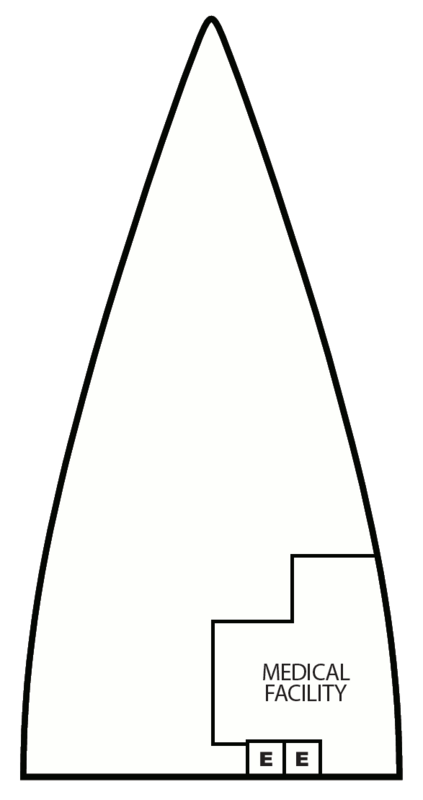 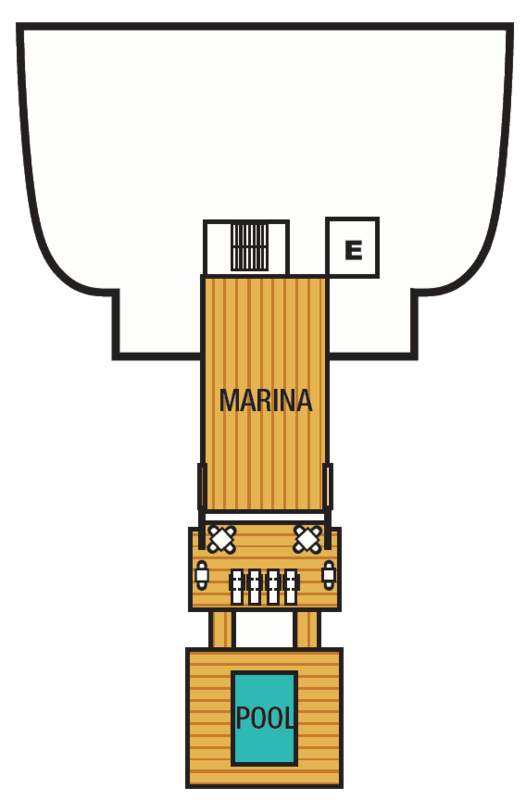 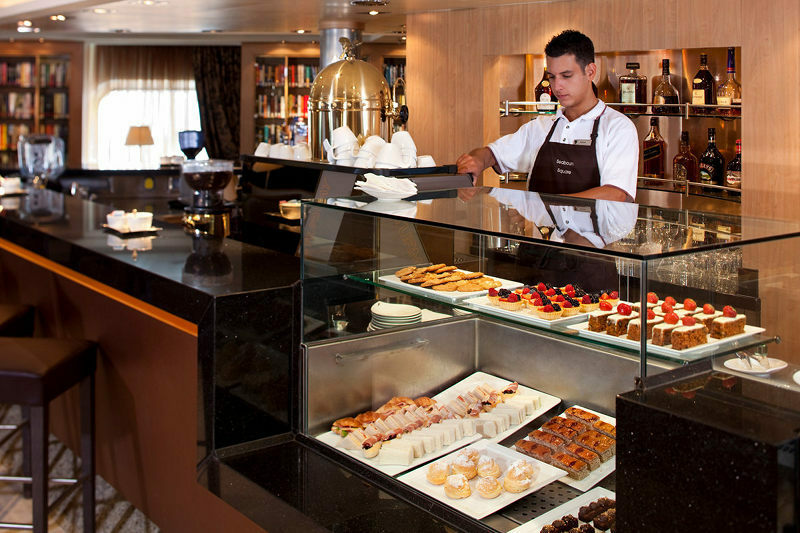 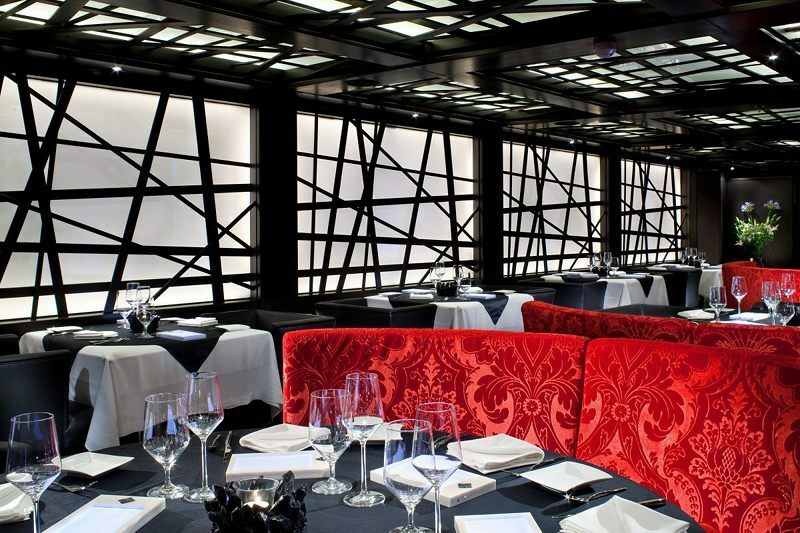 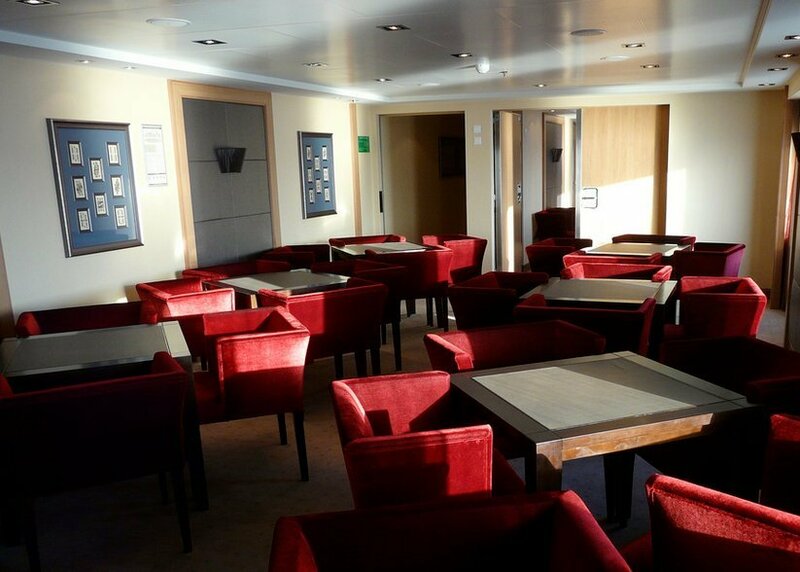 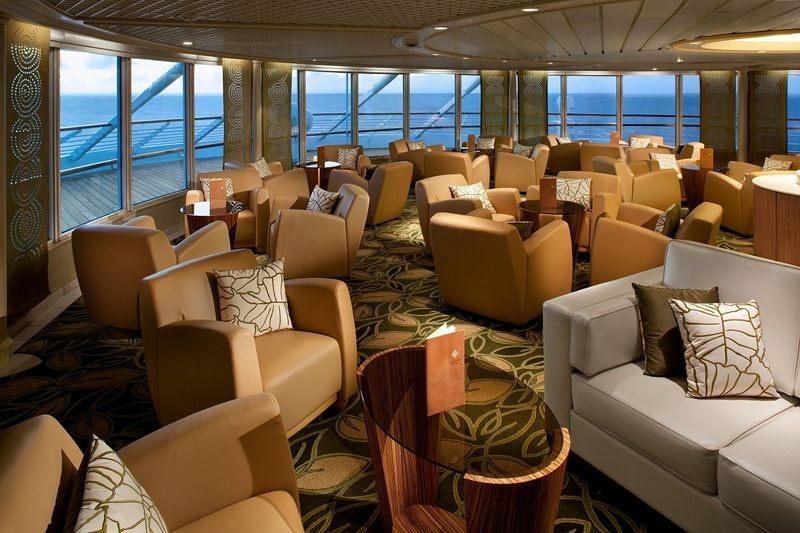 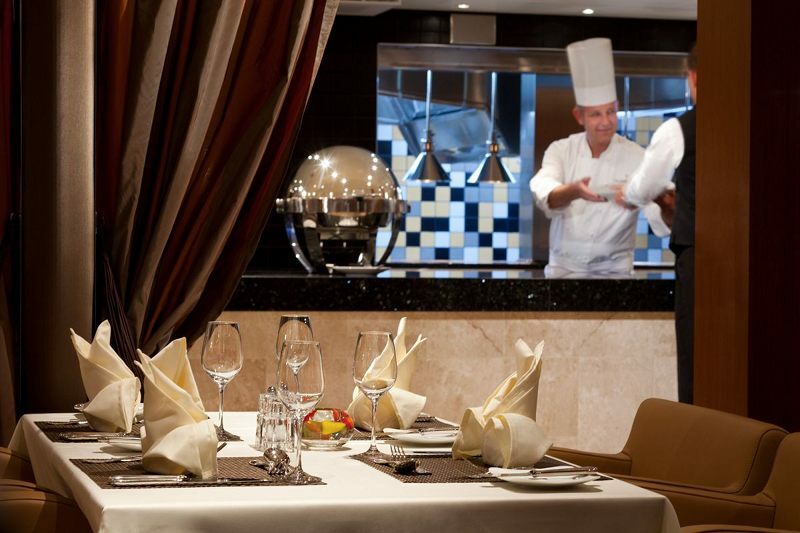 Deck 4 features staterooms in categories A, and A1, as well as the Restaurant. 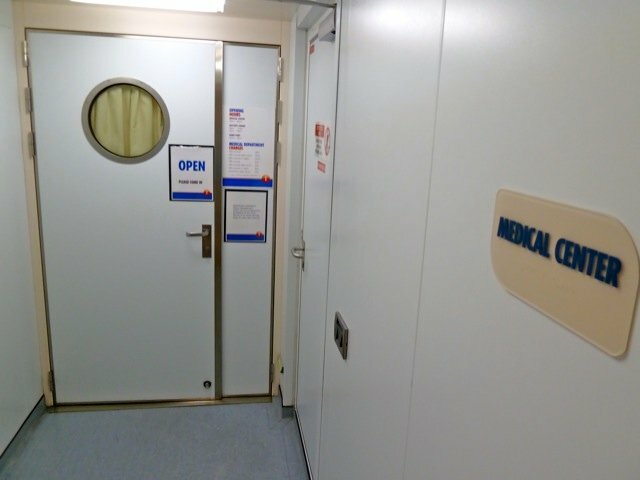 Deck 3 features the ship's medical facility.